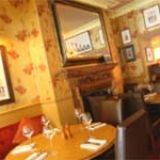 The Ladbroke Arms is a very respectable gastropub serving restaurant-standard food, cask ales and a huge selection of wine. Do you work at The Ladbroke Arms? Very pretty garden with hanging baskets and seven large tables & benches. What did you think of The Ladbroke Arms? The Ladbroke Arms is basically a place for pub grub. The food's okay but I think the prices are a bit steep for what you get. It can get a bit overcrowded in there too. I wouldn't head to The Ladbroke Arms for a romantic evening meal! The food in The Ladbroke Arms is very good, the steak is one of the best in London. However the whole experience is let down by there manager, who well up his own arse. 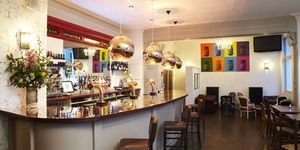 The Ladbroke Arms is a cute pub in Notting Hill, perfect for an intimate drink or a restaurant-style meal – even though it looks too small to have a kitchen. 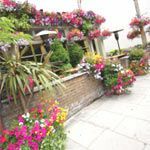 Tucked away opposite Notting Hill Police Station on a long, peaceful residential road, The Ladbroke Arms is a lovely little pub that almost feels like a beach town bed and breakfast inside. Although it feels clean and light, the décor is quite dated; walls are covered in floral wallpaper your granny would love, and the ceiling, curtains and wooden panels merge into a sea of beige. Outside, you’ll think you’re approaching a florist as the front terrace is positively overflowing with flowers. It’s certainly a nice sight to look out on from inside the pub and helps detract from the building work going on across the road. The pub is pretty small - partially thanks to the disproportionately large bar - and all tables are laid for dining, even mid-afternoon. It’s a chilled, slow-moving pub, with mostly local 40- and 50-somethings having lunch or a quiet drink, though there’s a spattering of tourists too. There’s no background music playing, so all you can really do is overhear punters’ conversations or listen to the buzzing and beeping of various appliances coming from the bar and kitchen. The staff are friendly, though maybe a tad dawdling - tables go uncleared for a little too long after diners have let. 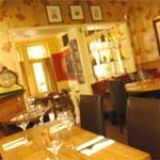 When it comes to food, The Ladbroke Arms appears to be a true gastro pub, with an eclectic, daily-changing menu (check the website on the day to see what’s on offer) using as many local ingredients as possible and putting serious effort into presentation. For a starter or snack, try the vegetable tempura with sweet chilli dipping sauce for £7.50, or, if you’re feeling more adventurous, the roast beetroot with goat’s curd and pickled shallots at £7. For mains, there’s spaghetti with olives and mozzarella (£14) and confit duck salad at £16. Not your average pub prices, but it’s clear they take great pride in their kitchen and don’t just view the menu as an afterthought. Got a sweet tooth? Try the likes of mango sorbet or gooseberry fool (both £5.50) or the alcoholic hot chocolate fondant at £6.75. There’s a seriously lengthy wine list on offer, with a small glass of white or red starting at a modest £3.20. 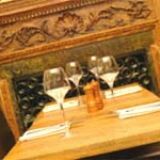 They’ve clearly put a lot of thought into the selection so you can be sure the staff will be happy to make recommendations, particularly if you’re looking for something to match with a meal. There are lots of beers on draught including Amstell, Kronenbourg 1664 and Heineken, and they recommend a different house ale every month - something that has earned the pub Cask Marque accreditation. 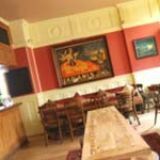 It’s a pleasant enough pub and certainly boasts an impressive menu, but there isn’t much of an atmosphere, and so The Ladbroke Arms never really lends itself to a lively night out.